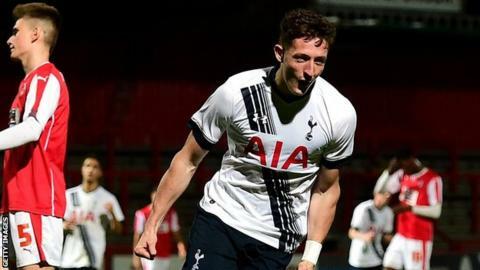 National League side Braintree Town have signed Tottenham Hotspur forward Ryan Loft on work experience terms. The 18-year-old has never appeared for the Premier League title hopefuls' first team, but scored 13 goals for their Under-18 side last season. Loft has recently been playing for the Under-21 side, and scored in their match against Norwich. Braintree are currently fourth in the National League table and host Eastleigh on Saturday.